The Scandinavian Butler Rollator Set in Azure Blue provides you with everything you need for stability and assistance around the home. 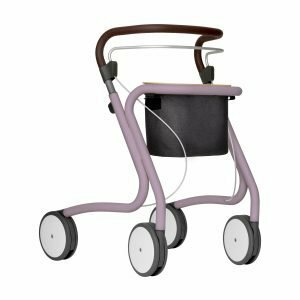 With the tray and basket attached the Butler rollator helps you carry your things from A to B around the home. Azure Blue is inspired by the clear, blue colour often seen in the Mediterranean Sea along the Côte d’Azur. The colour is matte, strong, sophisticated and clean – and combined with the matte surface it brings the ocean into your home in a subtle way.